My company VPTHEBEST TOUR provides individual and group excursions In Moscow and Golden Ring. It could be done either by foot, by car or by bus. Contact me to order and organise the tour. The Tretyakov Gallery is the most renowned and brilliant collection of Russian art. When visiting Moscow, this gallery is a must-see tourist attraction. The gallery dates back to mid-19th century and originally held 2,000 rare pieces of Russian art. Over the subsequent time, it has significantly expanded and today holds 170,000 works of art. The structure of the gallery sprawls over a vast area. 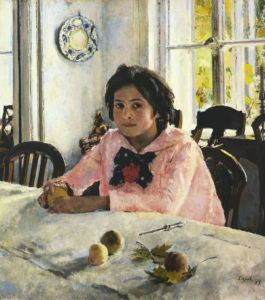 When visiting the gallery, you will be able to see a chronological display of Russian art. Dating back as early as the 10th century and all the way down to the 19th century. You will find the rarest pieces of Russian art completed by the most renowned Russian artists over the centuries. The gallery is also home to one of the largest and best collections of Russian religious icons. This unique art form has closely remained associated with the Orthodox Church over the millennia. At the Tretyakov Gallery, you will also find portraits of major Russian novelists and writers such as Dostoyevsky and Tolstoy. Apart from the gems and masterpieces of various forms of art, the Tretyakov Gallery is also notable for its extraordinary façade. The façade was designed by Viktor Vasnetsov and carries the ethereal fairy-tale feel that is also often found in Russian artwork. For art buffs, any visit to Moscow is absolutely incomplete with a tour of the Tretyakov Gallery. Even if you have an interest in history or simply wish to have a majestic evening, a trip to the gallery is the perfect excursion. Basic Cost covers: Travel by car with a personal driver, and an English-speaking guide and translator with intimate knowledge of Russian art, culture and history. VP THEBEST TOUR © 2017. All Rights Reserved.